Flights of stylish fancy will be yours in these Miu Miu™ sunglasses. Decorative double metal frame with metal temples. Smooth plastic lenses offer 100% UV protection accentuated with brand name softly embossed to one side. Brand name logo engraved at temples. 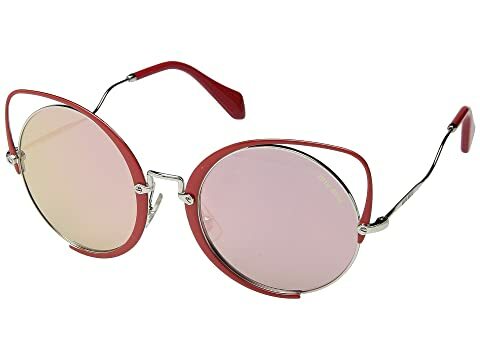 We can't currently find any similar items for the 0MU 51TS by Miu Miu. Sorry! Overall: Rated: 5 stars! Comfort: Rated:4 stars! Style: Rated:5 stars!